Steven Spiegel is a professor of political science and among the world’s foremost experts on American foreign policy in the Middle East. 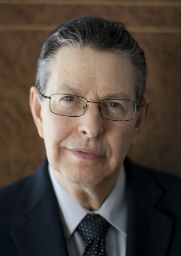 Speigel is director of the UCLA Center for Middle East Development in the UCLA International Institute and he writes frequently on conflicts in the Middle East, offering new ideas for promoting security and cooperation in the region. Spiegel also directs UCLA’s Middle East Regional Security Program.